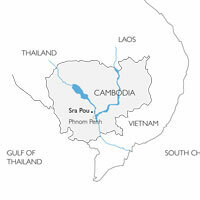 Sra Pou vocational school is a vocational training center and community building in Sra Pou village, Cambodia. 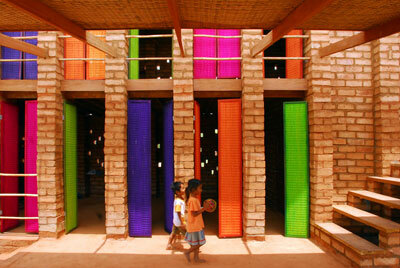 The school is designed by Architects Rudanko + Kankkunen and built during spring 2011. 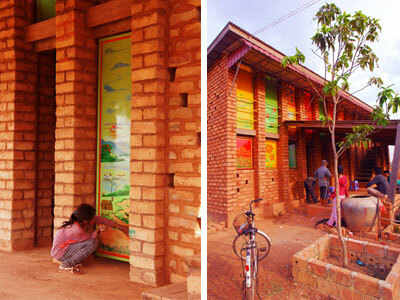 The project was continued in 2012 with a follow-up visit to Sra Pou to evaluate and improve the school's functionality. 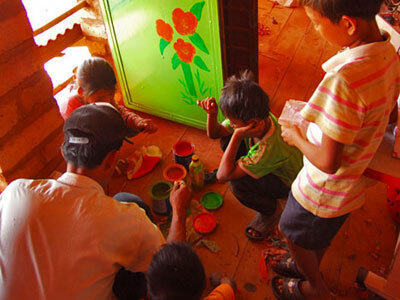 The purpose of the vocational training centre is to encourage and teach poor families to earn their own living. 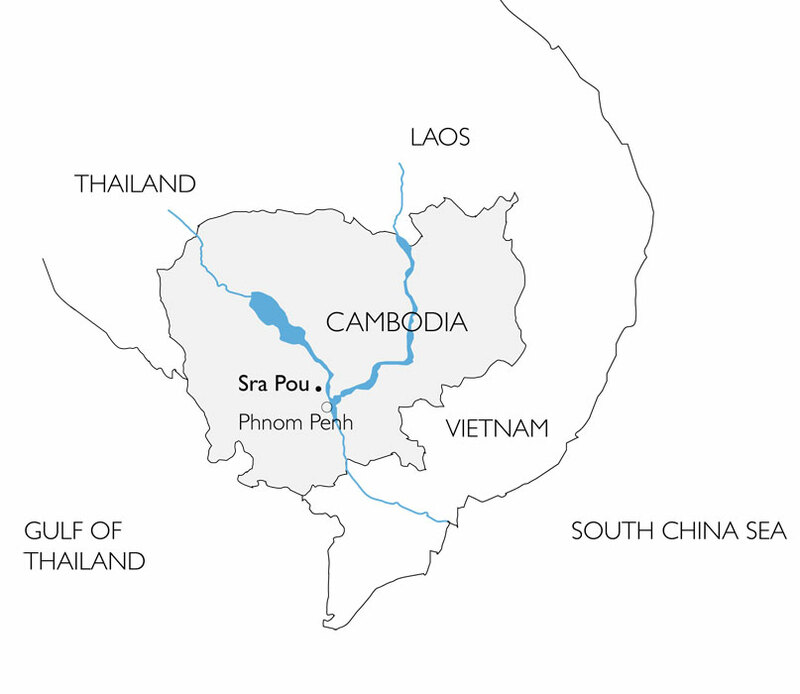 The Sra Pou community is one of the unprivileged communities in Cambodia, who have been evicted from their homes in the city to the surrounding countryside. 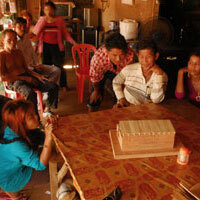 They lack basic infrastructure, decent built environment and secure income. 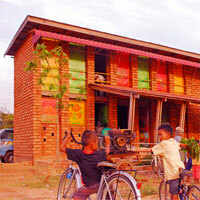 The new vocational school provides professional training and helps the people to start sustainable businesses together. 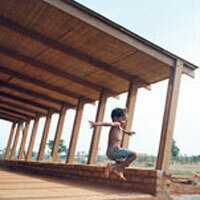 It is also a place for public gathering and democratic decision-making for the whole community. 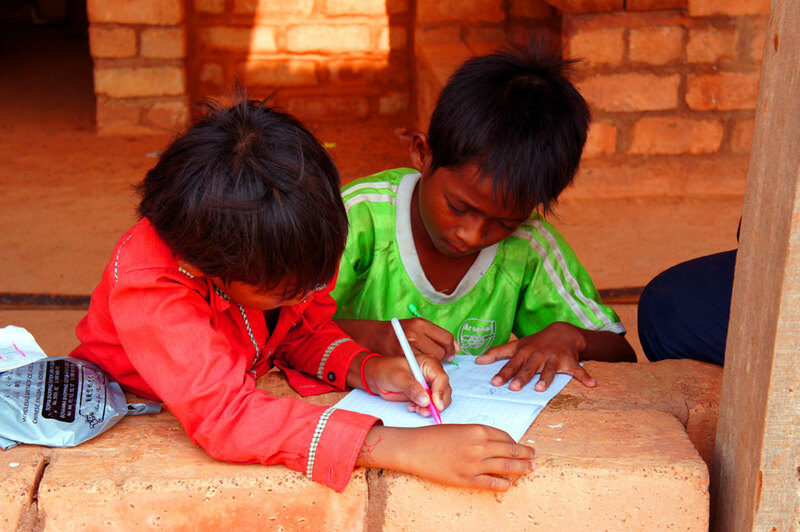 The Cambodian NGO Blue Tent organizes the teaching. 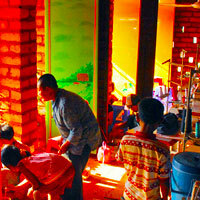 The project got started when we took part in an Aalto university design studio run by Ukumbi founders in spring 2010. 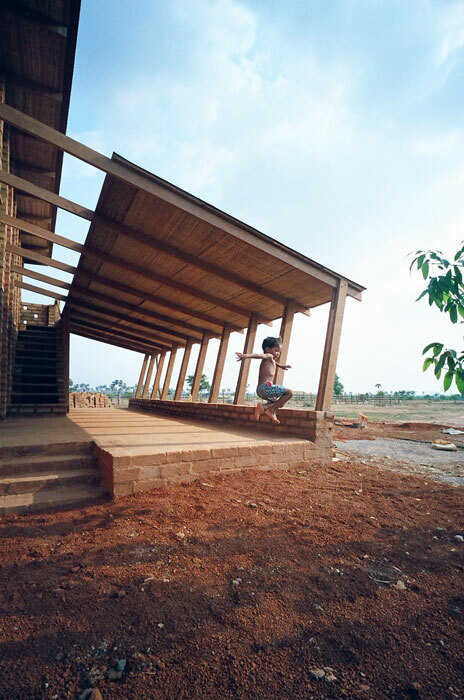 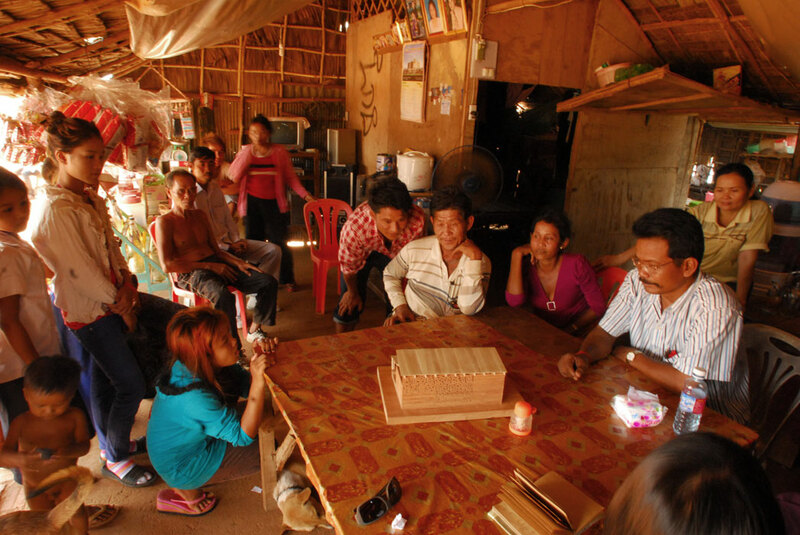 During the studio, students travelled to Cambodia to find a design task with a local NGO. 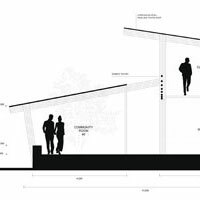 We met the Sra Pou community through the NGO Blue Tent, and we were asked to help with the design of a small vocational school. 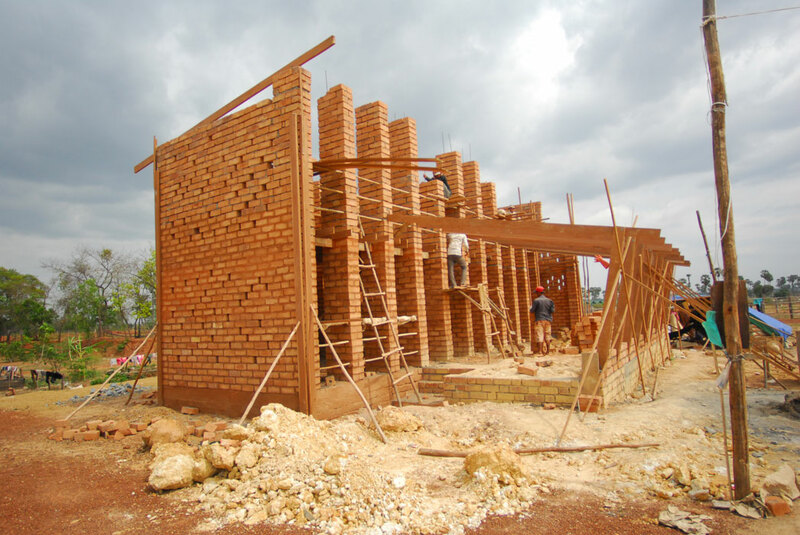 The studio works were at first imaginary, but we (just like our fellow team Komitu) decided to start working towards the construction of Sra Pou vocational school together with the community and the NGO, since there was an urgent need for it and the design inspired both community and donors. 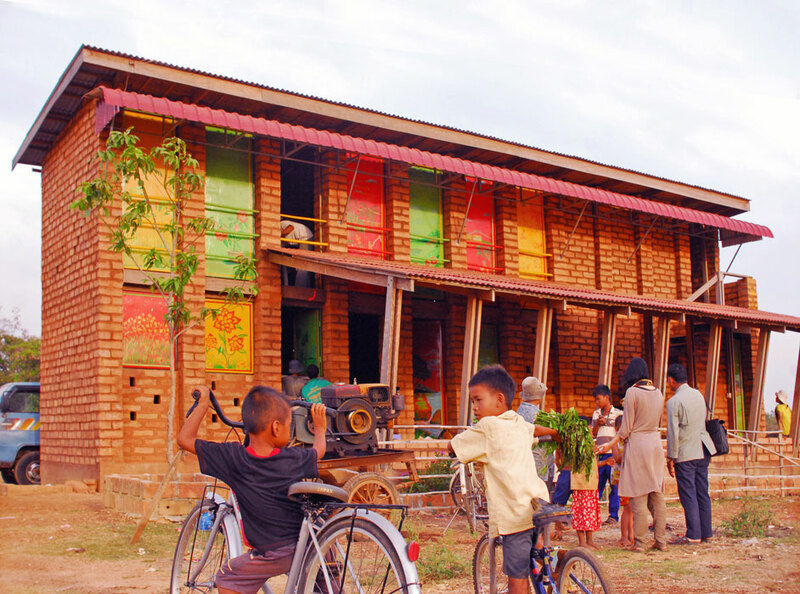 The school building is made out of local materials with local workforce. 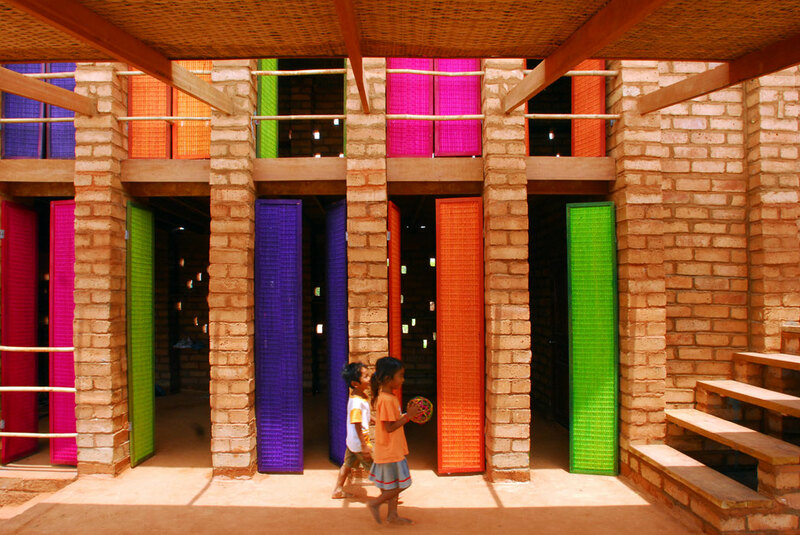 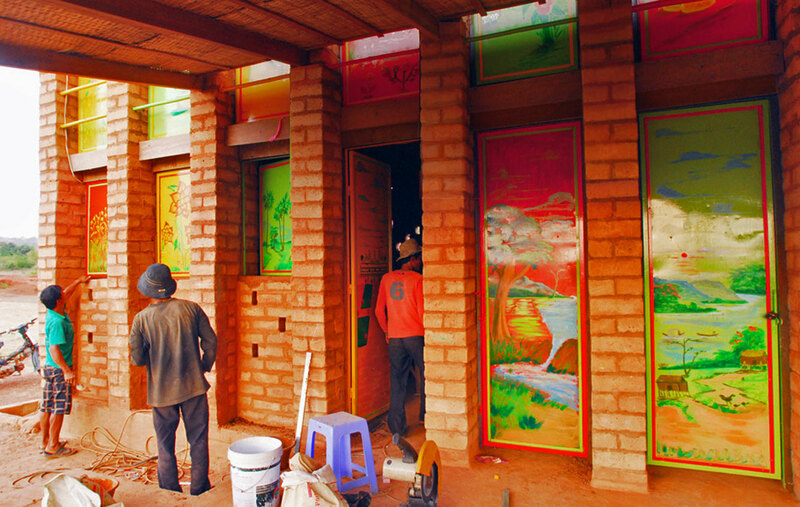 The aim was to encourage the community to make the most out of the materials that are easily available, so that they could apply the same construction techniques in their future building projects. 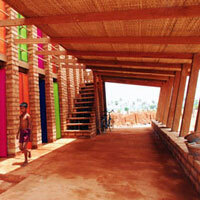 As the materials are scarce, the beautiful red soil was utilized to make sundried soil blocks. 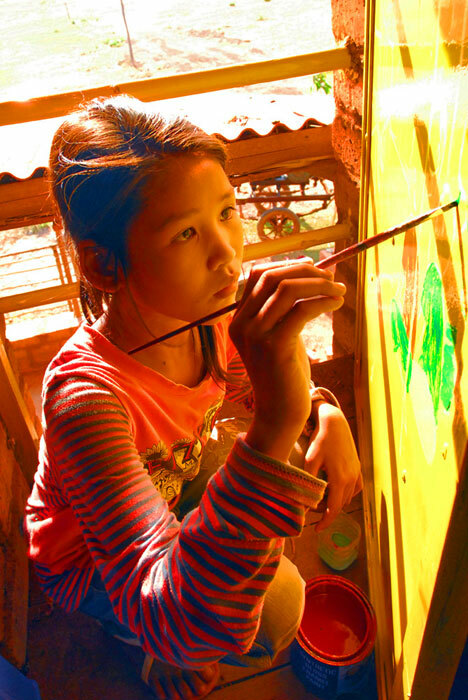 The whole school is hand-made. 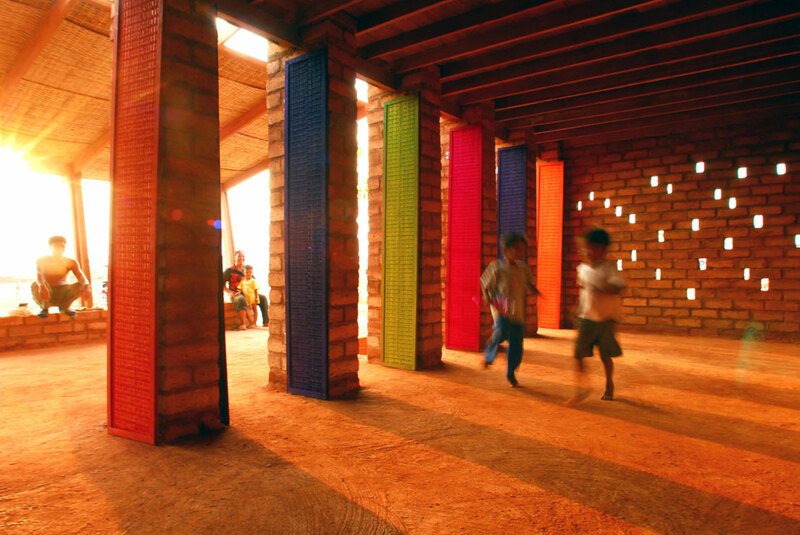 This allowed employing many people from the community, and it kept all techniques simple and transferable. 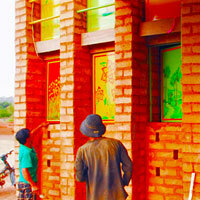 The soil block walls repeat the red shade of the surrounding earth. 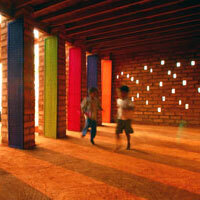 They are laid out with small holes, so that indirect sunlight and gentle wind come in to cool the spaces. 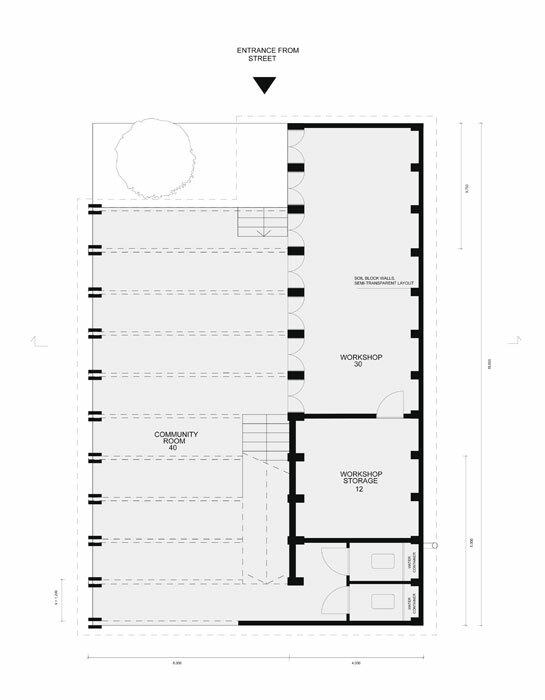 The community space is open, providing comfortable shaded outdoor space. 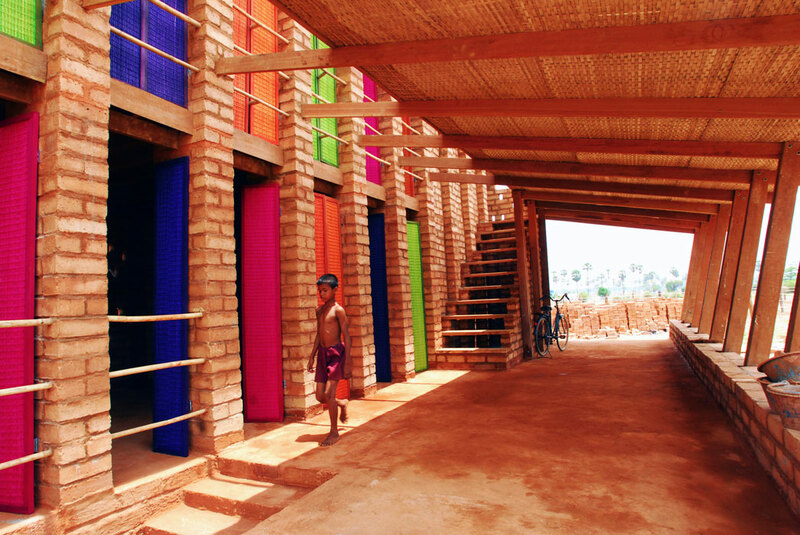 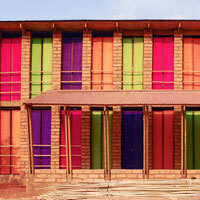 The colorful doors are visible from far away and welcome visitors coming along the main road. 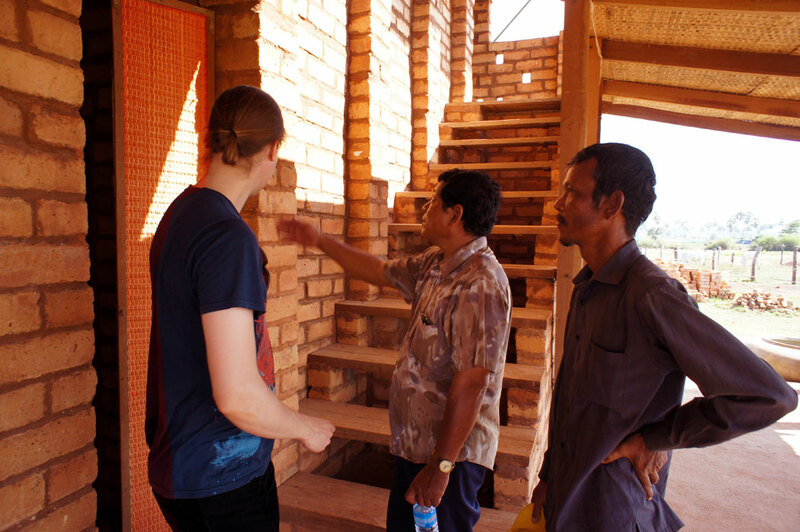 When working with foreign cultures and testing new construction techniques, it is important to learn from the users also after the completion of the building. 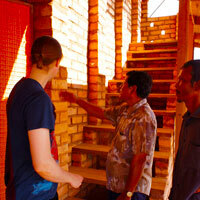 The vocational school project continued with a second visit to Sra Pou in 2012. 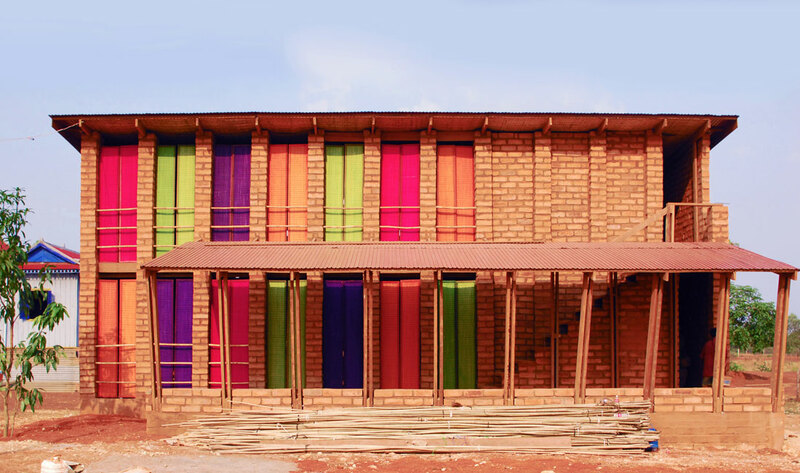 We monitored the functionality of the school building during its first year and designed necessary changes and amendments together with the community. We learned that the handicraft doors had not been durable enough, so their design was developed further with the local handicraftsmen. 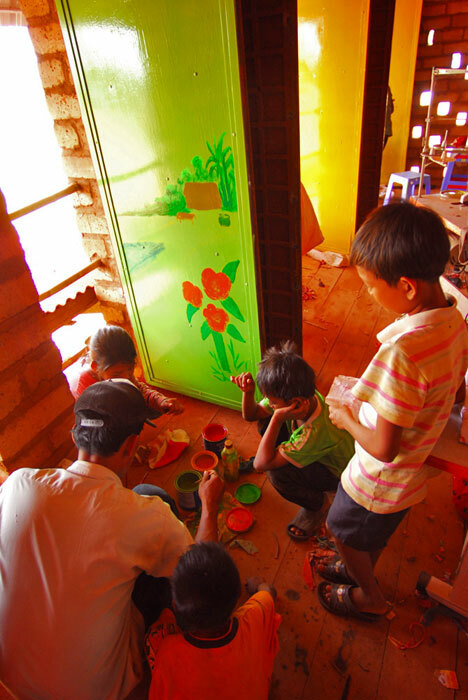 They were replaced with solid metal doors which got new colours and artwork in a painting workshop, where community children painted the doors with the guidance of a local artist. 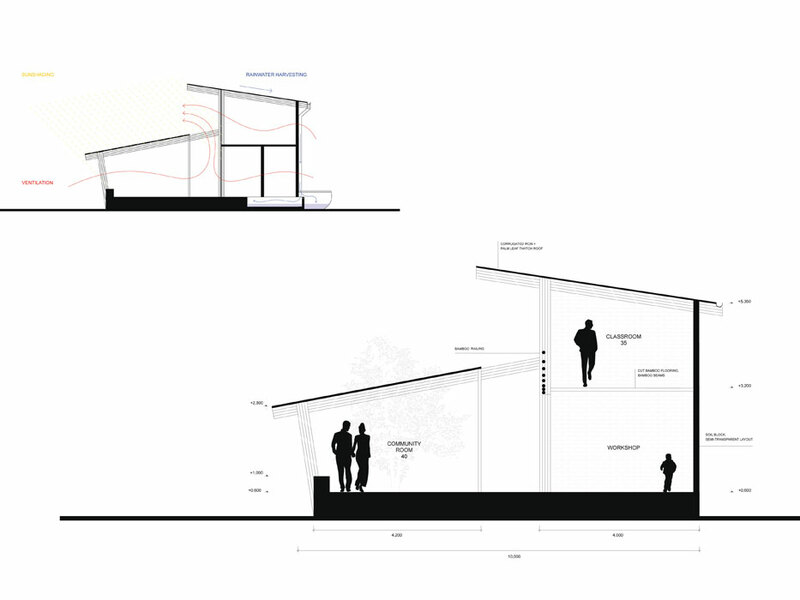 The roof was enhanced and the building's maintenance planned together with the community. 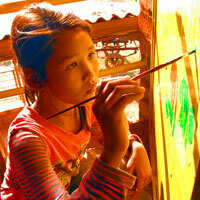 The school is now owned by the Sra Pou community, and functioning under the surveillance of Blue Tent NGO. 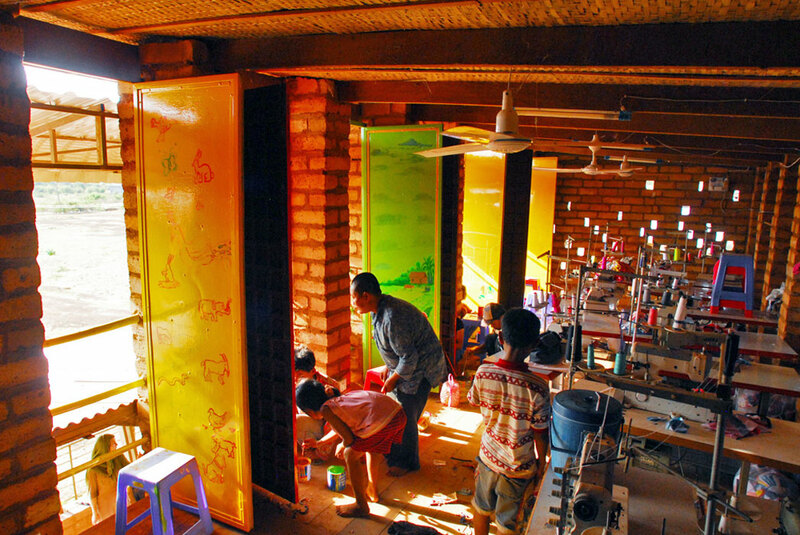 The main acitivity is sewing: the upstairs class accommodates eleven sewing machines bought with microloans, which are operated and owned by a sewing society of eleven women. 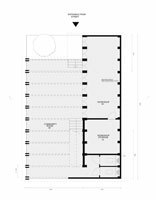 The downstairs with new doors can now be used as a makeup shop, and the open community space will provide a good spot for motorcycle repair. 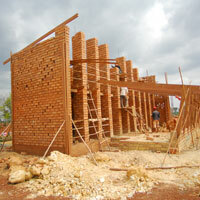 Rudanko+Kankkunen is not an active Ukumbi team at the moment.